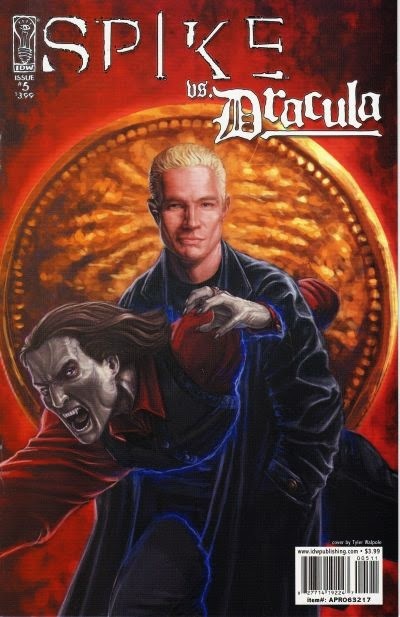 This miniseries explains the bad blood (no pun intended) between Spike and Dracula alluded to in the Buffy the Vampire Slayer episode "Buffy vs. 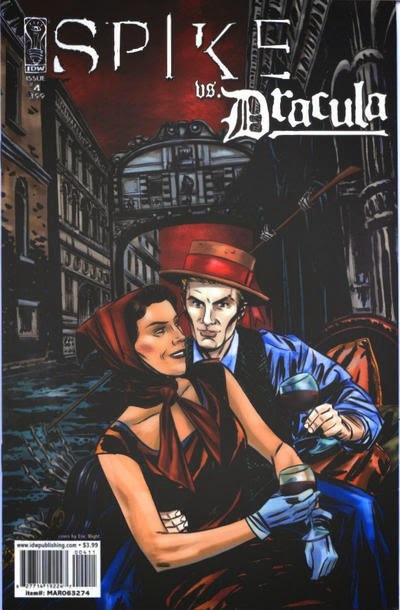 Dracula." 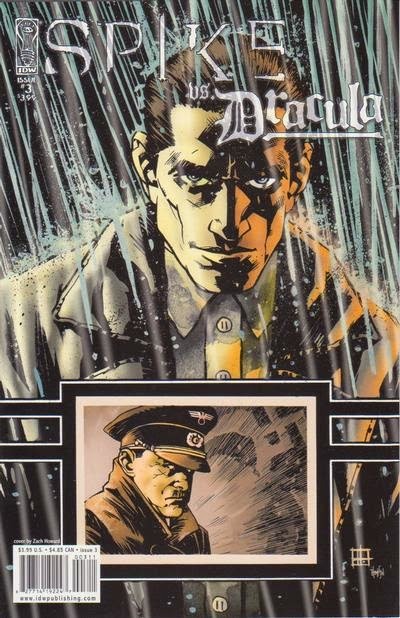 The first issue, set in 1898, has Spike killing a girl at the Slaughtered Lamb pub (from the movie An American Werewolf in London) in order to turn the customers against Dracula. In the final issue, set in 2003, Spike boasts that Dracula may have fought Frankenstein, the Wolf Man, King Arthur, and Zorro, but in Spike he's met his match. 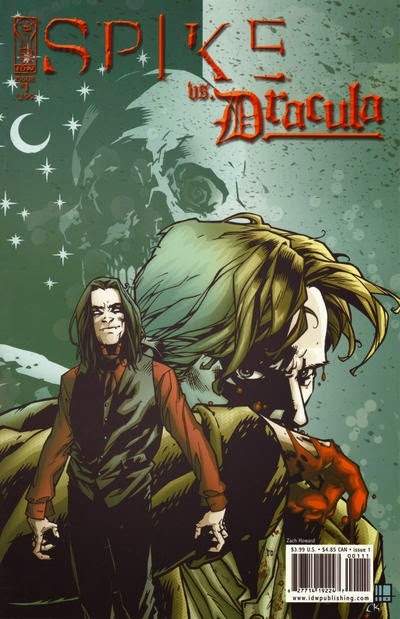 Dracula has encountered Frankenstein and the Wolf Man in several movies, books, stories, and comics. 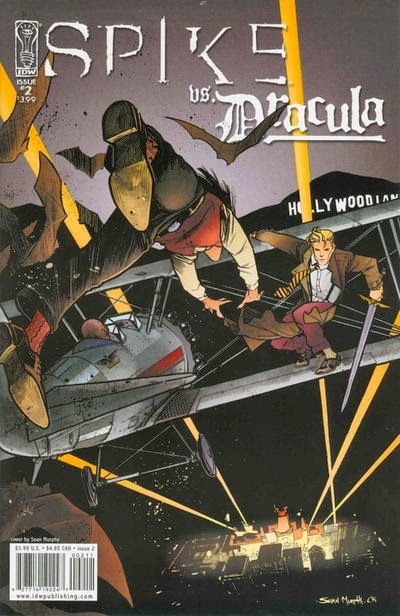 He met King Arthur and Zorro separately in two comic miniseries.